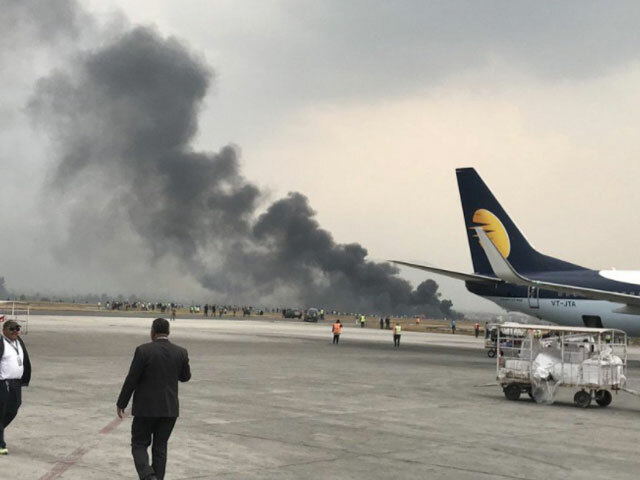 A plane has crashed at Kathmandu's international airport, local media say. The plane from US-Bangla, a Bangladeshi airline, went off the runway while landing and crashed on the east side of Tribhuvan International Airport's runway, the Kathmandu Post reported. The plane can reportedly carry 78 passengers and firefighters were at the scene trying to extinguish a fire, local news site reported.